This may seem counter-intuitive, but I only want you to have as much info as you can. 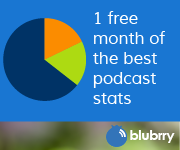 My fellow podcasters that podcast about podcasting have a lot of great information. There isn’t any real competition in this field. We all have our own take on things and for the most part, everyone puts out great advice. Personalities and styles are quite different and you might not like someone’s style so here is the best (in my opinion) of the people you should also listen to. 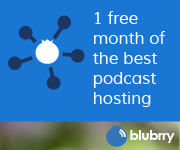 I suggest you pick a few other shows and sites from below to round out your podcasting education.